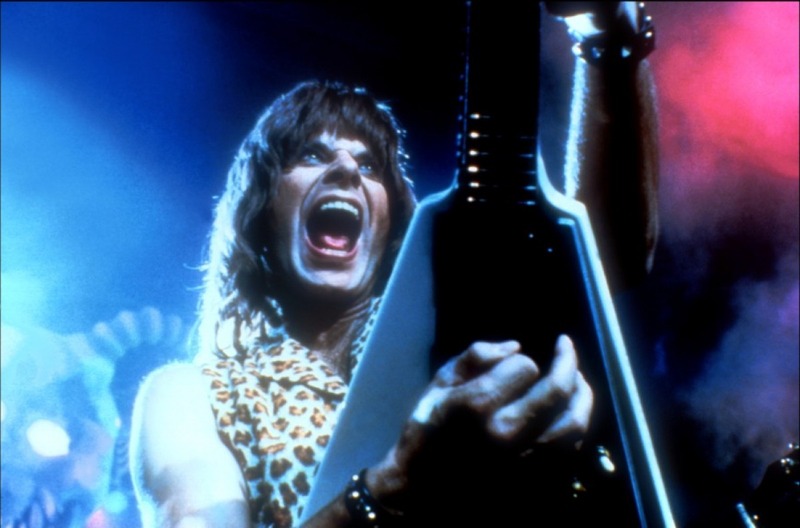 A rock mockumentary, This Is Spinal Tap is comedy at its sharpest. Poking loving fun at the world of heavy metal, director Rob Reiner and his cast of willing ad libbers cut a swath of biting satire that spares no target in the crazy music and touring world. Documentary director Marty DiBergi (Reiner) sets out to capture an inside-look at the latest North American tour of British heavy metal legends Spinal Tap. Childhood friends Nigel Tufnel (Christopher Guest) and David St. Hubbins (Michael McKean) created the band in the 1960s, with Nigel the guitar wizard and David the guitarist / vocalist. Along with bassist Derek Smalls (Harry Shearer) they form the core of the band, while a succession of drummers have come and gone, most of them meeting inexplicably violent endings (including self-combustion). The band is trying to revive their fortunes in North America with a tour to coincide with the release of their latest album, Smell The Glove. With manager Ian Faith (Tony Hendra) doing his best, the tour starts in New York and moves west, and it is soon apparent that all is not well. Dates are cancelled due to low attendance, the release of the album is delayed amidst a row with the record label about the cover art, and tensions start to tear the band apart. These intensify when David's girlfriend Jeanine (June Chadwick) joins the tour, antagonizing both Nigel and Ian. With DiBergi's cameras capturing a band in freefall, the venues become smaller and stage mishaps become commonplace, including a malfunctioning futuristic pod trapping Derek and a wrongly-sized Stonehenge monument transforming the band into a laughing stock. Guest and McKean create memorable rock stars, capturing the posturing, fake arrogance, and blankness behind the attempts at intelligence that only come from simple blokes achieving overwhelming success in an artificial world, and not quite knowing what to do with it. Their acting is brilliant, never less so than when they reminisce about the band's early years and start humming their earliest famous tunes, with genuine looks of joyful nostalgia. Reiner assembles the movie with the loving care of a documentary filmmaker, mixing live performances with the band's mounting on-stage and off-stage disasters, interviews with the band members, backstage and hotel room arguments and terrific black and white footage of Spinal Tap's earliest television appearances. 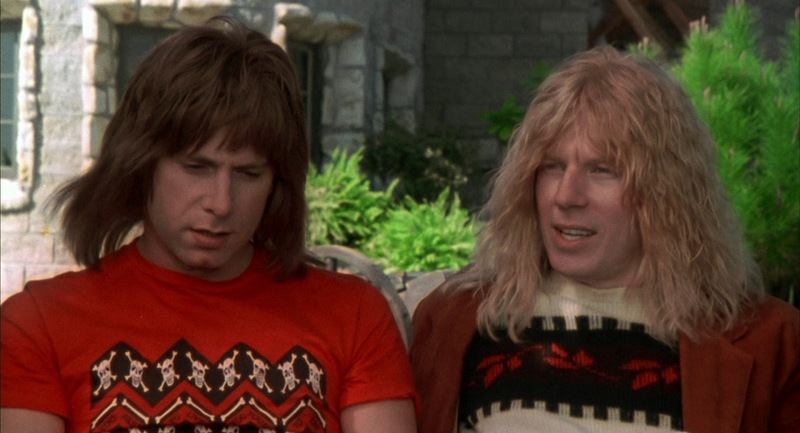 In the process Spinal Tap becomes an incredibly real band, and This Is Spinal Tap is elevated from satirizing the subject matter to a brilliant satire of the documentary genre itself. The comedy in This Is Spinal Tap is legendary. Nigel describing the speakers with volume knobs that go to eleven; Nigel having trouble with the platter of cold cuts and small bread squares; Derek performing an entire song trapped in a pod while a technician frantically attempts to pry it open; the band getting lost on their way from dressing room to stage; the elves dancing around the Stonehenge monument; and the ever worsening tour venues, including an Air Force base and finally an amusement park. It's all perfectly delivered with a straight face, both the subjects and makers of the documentary caught in the moment, putting the bravest face on events spiralling ever downwards. 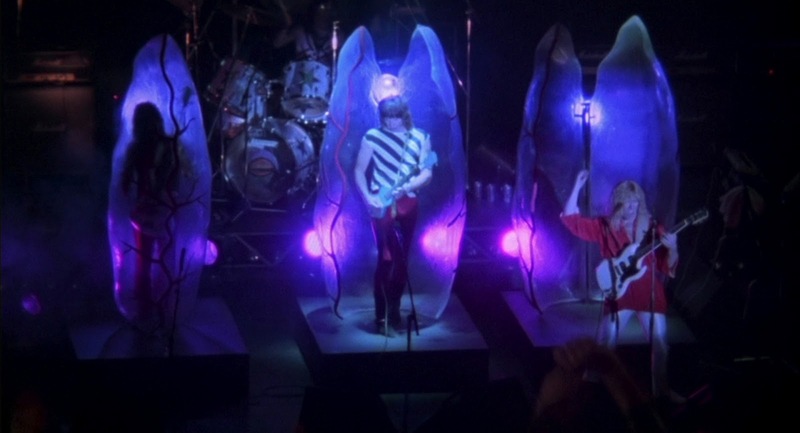 And farcical as it sounds, most real bands can fully identify with many of the film's most inventive moments. 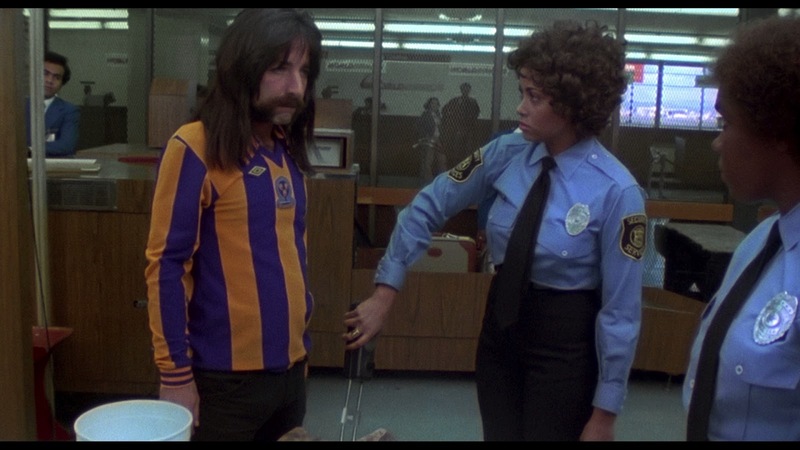 This Is Spinal Tap is clever and witty in both form and content, an admirable blurring of fiction and reality in a sly musical package.